Nokia has lost another high-level executive in less than a week, with Mobile Solutions leader Anssi Vanjoki departing his post. Vanjoki was the man who was supposed to bring Nokia back to the sharp end of the smartphone market, to help the Finnish firm compete with Apple and Google. But despite only being in the post for just over a year, and the massive Nokia World event starting tomorrow, Vanjoki has decided today is the day to announce that he's leaving to the world. This news follows the decision by Nokia to oust current CEO Olli-Pekka Kallasvuo and replace him with Microsoft's Stephen Elop. In a press release he stated: "I felt the time has come to seek new opportunities in my life." "At the same time, I am one hundred per cent committed to doing my best for Nokia until my very last working day. 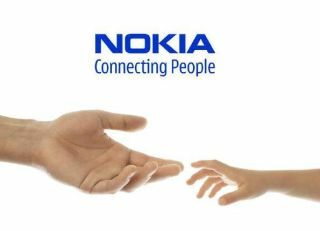 I am also really looking forward to this year's Nokia World and sharing news about exciting new devices and solutions." Vanjoki has a six month notice period, so there's plenty of time to bring someone else in. But unless that person comes complete with a smartphone from 50 years in the future, it's difficult to see how Nokia is going to offer anything that will turn consumers' heads in the next year or two.